The Outdoor Advertising Association of America (OAAA) says that more than 95 percent of Americans are reached by media targeting vehicle drivers and passengers. Here’s what you need to know before investing in this exciting and unique form of advertising. 3 Keys To Successful Wraps. So what exactly is a Vehicle Wrap? 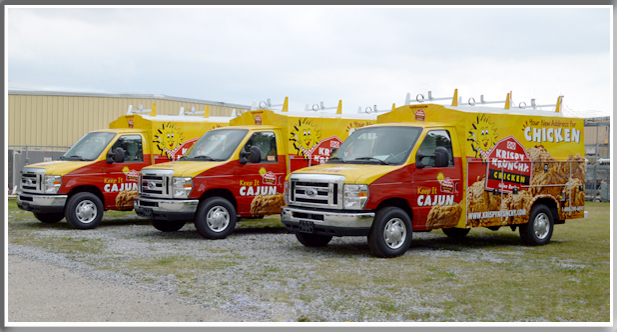 A vehicle wrap is a digitally printed mobile billboard that is professionally installed on your vehicle or vehicle fleet. Vinyl wraps may include the entire vehicle or just a portion. Vinyl wraps may also include printed perforated vinyl on the windows. The vinyl is printed using colorful and high resolution graphics using your design or one created specifically for you. Wraps are made from heavy-duty vinyl and typically last three to five years, depending on conditions. How do I care for my Vehicle Wrap? What are the advantages of Vehicle Wrap vs. Paint? A greater percentage of people are choosing to wrap their vehicles instead of repainting. Costs vary depending on the size of your vehicle. In most cases, wrapping a vehicle by a trained professional is less expensive than a quality paint job. The benefits to wrapping are many, but none more important than the time it takes to wrap versus the time to paint a vehicle. A quality paint job can take up to two weeks, whereas wrapping can be done the same day. Wrapping vehicles are inexpensive, durable, and easy to clean. Because printing technology is better than ever, wrap installations are easier and far less likely to fail. But as a result of these advancements, inexperienced people have set up shops. So always check a wrap provider’s credentials, workmanship and even testimonials. Invest in your design and utilize an experienced company to produce and install your wrap. Schedule your tour of the Pixus Digital Printing facility by calling 800-738-0706.